Sunday, February 18 from 1:00 p.m. until 2:30 p.m.
RESOBOX Chelsea presents a new type of art and a new way of eating with the ORINIGIRI Workshop. 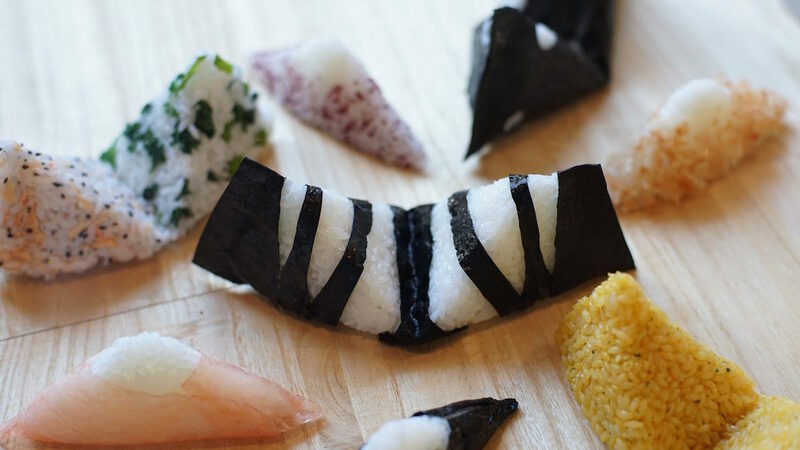 ORINIGIRI combines the fun features of origami, the Japanese art of paper folding, and onigiri, the quintessential Japanese snack of rice balls. Recommended for ages 4 and up, this workshop will show both children and adults how to create their own ORINIGIRI while having fun with a special ORINIGIRI dance! The cost of admission includes all materials, but if you would like ORINIGIRI to be a certain flavor, you may bring your own ingredients. Architect and video artist Tomoo Nitta, who studied at Kyushu Institute of Design (present-day Kyushu University) and Rhode Island School of Design, invented ORINIGIRI when he was in the process of designing a building. He discovered that ORINIGIRI was a fun way to help children cultivate their mathematical and artistic senses. After working at Shigeru Ban Architects, Nitta established Himawari Design in 2014 and started Project AICHI with his wife, writer and concept designer Aiko Sugiura in 2016. 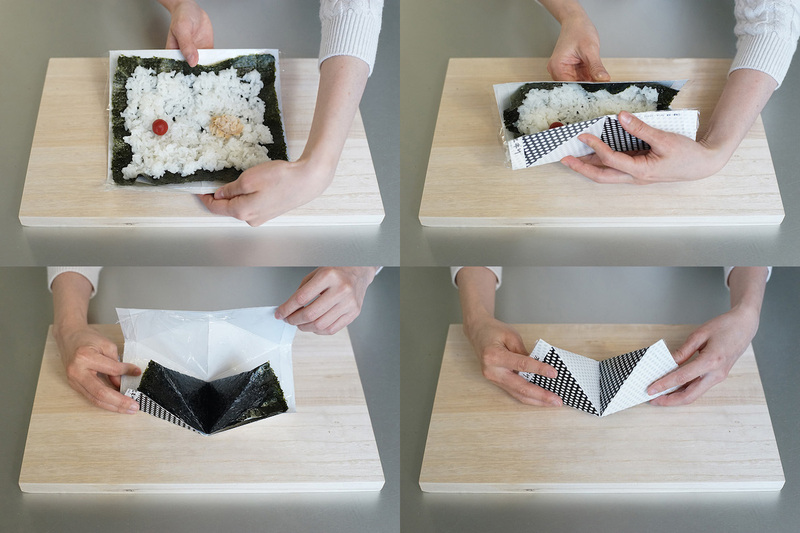 Basing designs on the use of one sheet of paper, Nitta’s ideal projects connect people of different cultures through the simplicity of Japanese beauty. He hosts workshops in which various people, from children to adults, gather and have a cultural exchange while they design a project together. The rule is that the design must be made from one sheet of paper, so each participant learns folding methods through trial and error and designs their own shape. Nitta’s workshops employ the use of a strong and flexible polypropylene sheet, which can be bent many times, rewarmed in a microwave oven, and used again.